Session Two of Fortuna’s fall auction series witnessed strong bidder activity from a packed showroom and oversea buyers. On September 27, 2018 Fortuna’s IMPORTANT JEWELS sale, followed Session One: Important Watches, and achieved a total of $1,378,977 in sales revenue, with well over 150 lots selling for exceptionally strong prices. Of the many estate jewelry highlights, the most notable was the cover lot, a stunning rectangular cushion-cut Kashmir sapphire, weighing 4.30-carats, surrounded by eight old mine-cut diamonds, set in an 18K gold Victorian setting. This rare beauty achieved $187,500, against a $150,000-$200,000 estimate. A rare Victorian 4.30-carat Kashmir Sapphire and Diamond Ring. Achieved $187,500 at auction, against estimate of $150,000-$200,000. Additional highlights in colored gemstones included an Oscar Heyman & Bros. Sapphire and Diamond Ring, which sold for $40,625 against a pre-sale estimate of $30,000-$40,000, and a Tanzanite and Diamond Platinum Ring, which achieved $22,500 against a pre-sale estimate of $18,000-$25,000. 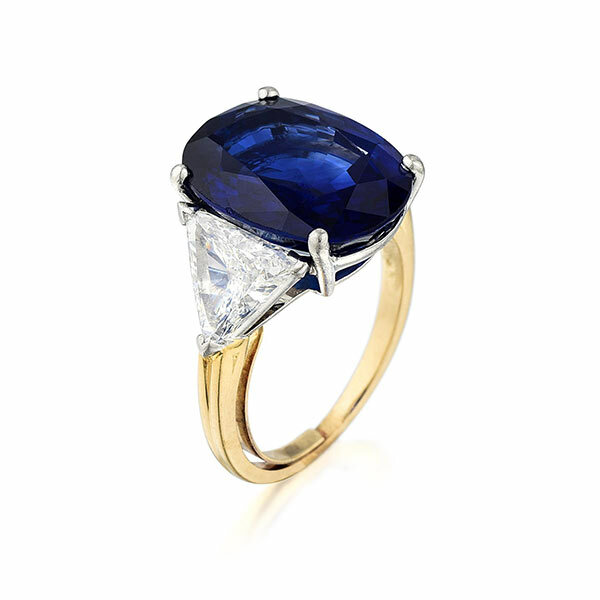 Oscar Heyman & Bros. Sapphire and Diamond Ring. Achieved $40,625 at auction. Estimate $30,000-$40,000. 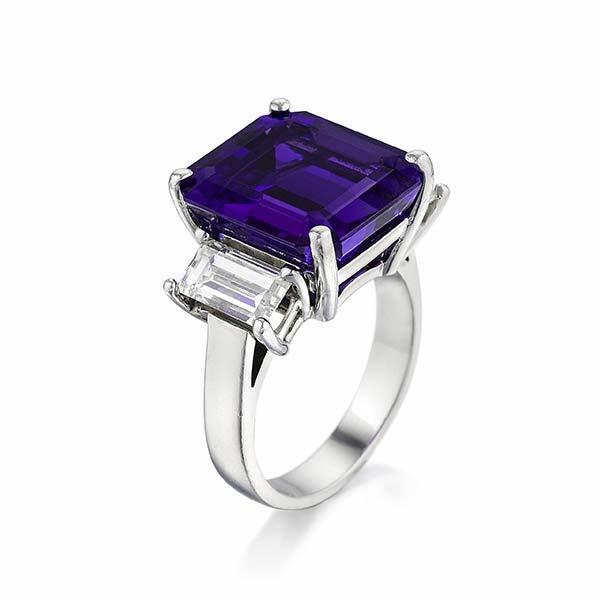 A Tanzanite and Diamond Platinum Ring. Achieved $22,500 at auction. Estimate $18,000-$25,000. In diamond jewelry, an exquisite 4.17-Carat Fancy Intense Yellow Diamond Ring, the property of a Georgia lady, was the subject of contentious bidding—achieving $43,750 against an estimate of $25,000-$35,000. 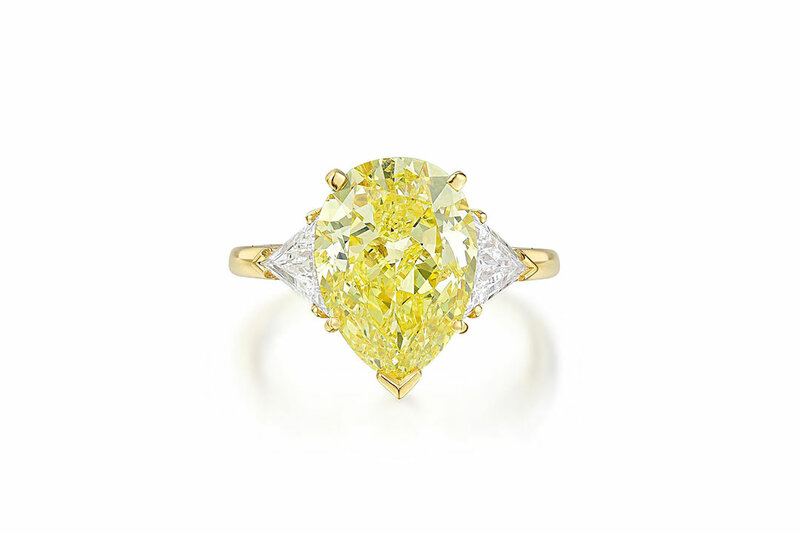 Property of a Georgia Lady, a 4.17-Carat Fancy Intense Yellow Diamond Ring. Achieved $43,750 at auction, against a pre-sale estimate of $25,000-$35,000. Other estate highlights included a Pair of Diamond Stud Earrings, the property of an esteemed lady collector—selling for $26,250, over an estimate of $17,000-$25,000. 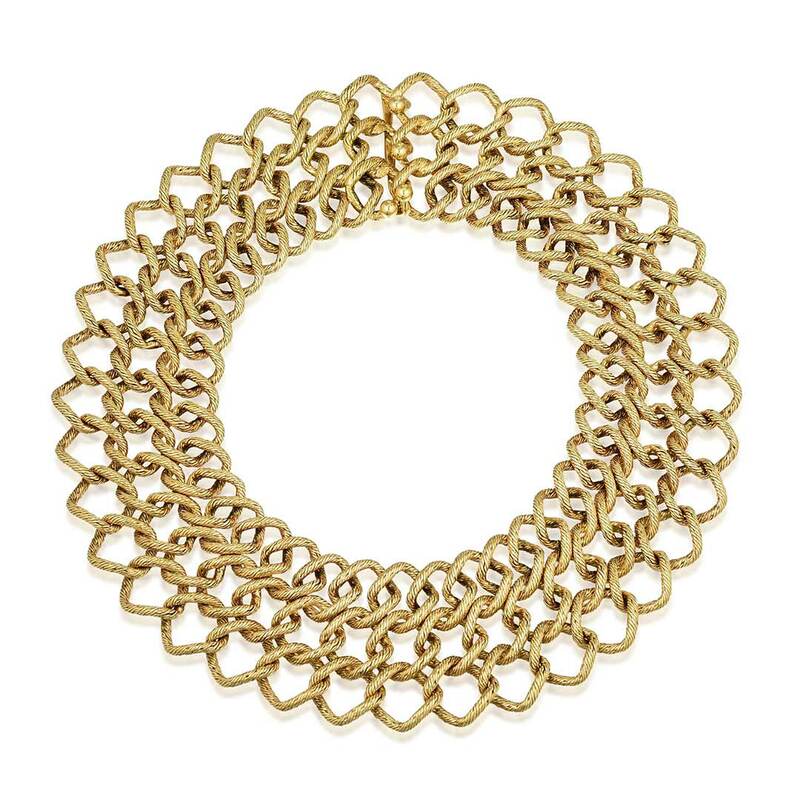 Cartier Georges L’Enfant Choker Necklace. Achieved $18,750 at auction, surpassing a pre-sale estimate of $7,000-$10,000. As a category, signed estate pieces also performed exceptionally well, with many lots experiencing strong competitive bidding. A Cartier Georges L’Enfant Choker Necklace soared past its pre-sale estimate of $7,000-$10,000, achieving $18,750 at auction. Other highlights included a Bulgari Two-Tone Gold Evening Bag, which achieved $15,000 over a pre-sale estimate of $9,000-$12,000, and a pair of David Webb Platinum Diamond Cluster Earrings, which sold for $20,000 against an estimate of $14,000-$20,000. 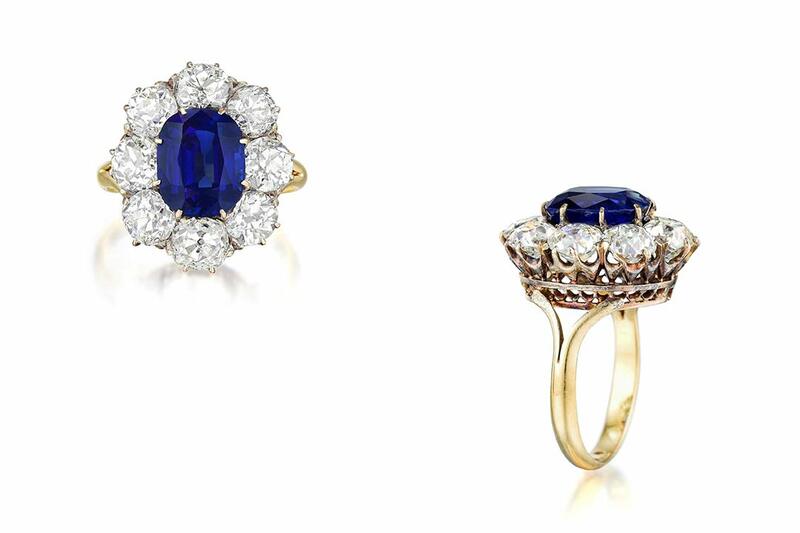 Click here for full sale results for the Important Jewels auction. To download a print-out of all lots and prices achieved, click here. Note: All prices include hammer value plus buyer’s premium. Fortuna will hold their next Important Watches and Magnificent Jewels auctions on December 6 in their showroom on Fifth Avenue overlooking Rockefeller Center in New York City. Fortuna is currently accepting consignments until October 26. For consignment information or a complimentary valuation, please contact our specialists by calling +1 212-389-9040 or emailing watches@fortunaauction.com or jewelry@fortunaauction.com. Click here to request a valuation via our web form.